Since June 2018 users of iRidium pro can give projects for a limited time with the help of QR-codes. This function is called iRidium BYOD. BYOD (Bring Your Own Device) – is a technology that allows a user to use his personal device: computer, smartphone, tablet – in formal organization. For example, an employee of the company works on his own computer, in accordance with safety rules: access to the materials available only to this employee and for a limited time. Or a student uses his own tablet at school to have access to education materials. In iRidium pro this technology can be successfully used to give guest access to control Smart Home or a hotel room with the help of their phones. 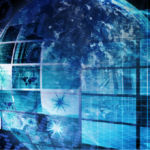 iRidium BYOD deactivates the access automatically by the specified time. There is no need to ask an integrator for help or register in the system. A host or an administrator chooses a guest project, generates QR and gives it to the guest to download it. A user has access to those functions, that an integrator set in a guest project. For example, a guest can control the temperature in the room, but can’t turn off the boiler. A host or an administrator of the project sees all devices, used in a guest project and at any time he can disconnect them from the system or send them a message. If you have several guest projects with different resolutions, BYOD system determines the type and resolution of a user’s device and gives a project with corresponding parameters. 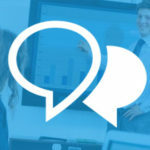 BYOD system can include several groups of projects with different functions (guest projects, projects of the object owner, projects of the object personnel). If a user loses his smart phone, usually he needs help of the integrator to authorize and download the project. But using BYOD system, he can download a control project on a new device on his own with the same QR-code. You can send a PUSH-notification to a guest in your account. When a guest checks in, a receptionist sets the dates of checking in and checking out and gives a generated QR-code to the guest. After scanning the code a guest has access to devices in his hotel room. After a guests checks out he has no access to devices. You can see in greater detail, how BYOD works in hotels in this video. It isn’t safe to give access to your guests to control all Smart Home functions. It isn’t convenient to make them register in some system. To call an integrator is expensive. Using BYOD, an integrator in advance created guest projects, that include only the acceptable functions. At any time a host can specify a duration of guest’s stay and generates QR-code. For example, guests come to stay for 2 days, so the project works 2 days. A host of apartments mostly has no administrators; he might not meet guests. For example, at resorts on Tahko, Finland, when booking apartments, you get a code to the box with the key from the apartments. No meetings. With the help of BYOD, a host of apartments can send in this message QR-code to control apartments during the rental period. In the panel in the meeting room participants can see QR-code to control the meeting room: projector, lightning, climate and other AV devices. Read in our Wiki, in the “iRidium BYOD” article, how to set up iRidium BYOD for your automation object. If you don’t know iRidium pro platform, but you’d like to use iRidium BYOD, we invite you to take “Introduction in iRidium pro” course. In half an hour you’ll learn principles of work in iRidium pro and benefits of using it in automation. 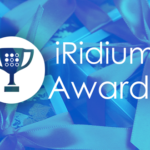 iRidium Awards 2017 Project Competition is ON!